Civil and Criminal Investigations since 1935. - Simmons Agency, Inc.
Civil and criminal investigations since 1935. The Simmons Detective Agency is one of Boston's oldest and most respected private investigation firms. Is your firm contemplating a merger or acquisition, or corporate take-over of a competitor? Has your team done all it could to expose risk before ink hits paper? The Simmons Agency provides the highest level of professionalism for surveillance investigation through our experienced team of local field investigators. The Simmons Agency provides a wide variety of corporate investigation services for businesses of all sizes. From employee background checks to financial fraud detection. When working on a case involving litigation, the role of a professional investigation agency can be critical. We do the legwork that is often not associated with investigations performed these days. Conducting discrete workplace investigations is one of the most challenging duties that HR professionals must take on. Workforce demographics are shifting. The Simmons Agency performs public (and sometimes private) record searches, locates and interviews witnesses, and prepares reports in criminal defense cases. 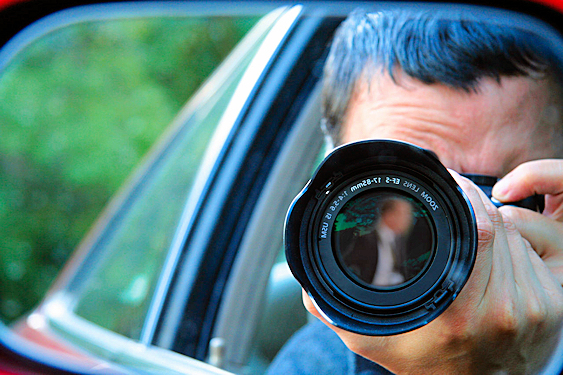 Why hire a Detective Agency? Because we can find problems before they affect your business. Utilizing an experienced detective agency is a smart move. Save time and money. Protect your vital interests. Would you like to speak to one of our investigators before you hire us? We are here to help you immediately. Hire a Detective Agency that can get the information you need. Whether you are a spouse wondering if your better half is cheating, or a multi-million dollar company trying to learn if a past employee was stealing secrets; when it comes to detective work, hire a pro. We have been in this business for over 70 years. We work quickly and efficiently and have a lot of tools at our disposal to find what you are looking for quickly. Our reports are detail oriented and are used by attorneys in litigation cases. We have many special skill sets including background checks, surveillance, corporate investigations, discrimination cases, criminal defense investigation and case preparation. Call us at 800-237-8230 and set us a free consultation. Our client’s needs always come first. In today’s world, companies need to protect their finances, their stockholders and their reputations. The Simmons Agency has comprehensive corporate investigation services that will avoid these issues before they become problems. Surveillance can get interesting. Quickly. Being ethical. Our client’s needs always come first.